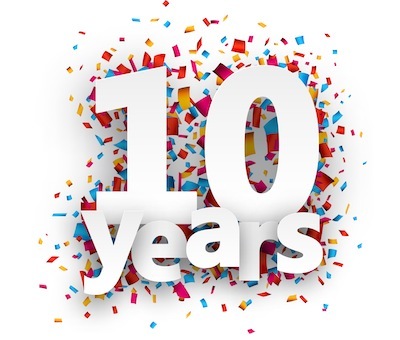 As we celebrate our 10th year in the digital landscape, we want to say thank you to all of you that share with us each and every day. When Cup of Joe began as a short column in Carman's newsletter(actually 20 years ago in 1997), I never would have expected to be sitting here today still talking about it and seeing it touch lives all over the world. When I wrote the book "Dreams2Destiny", I hoped to share some of the experiences that I had trying to discern what the Lord wanted me to do and also how I went about discovering that for myself. It came from a story in scripture about Jairus and his little girl. Jairus would experience so many emotions in his pursuit of Jesus and healing for his daughter. In short, to see his dream come alive, he would need to stay close to Jesus and be obedient to all that He said. And he would move through five seasons: dream, desperation, delay, divine assurance and destiny. I included in this book a series of questions I had asked myself as an interactive guide for others to find purpose and meaning in their lives. And to prove that dreams really do come true, I wrote about the Texas Stadium event that Carman did in 1994 which made history as the largest Christian music event ever by a solo artist. Through all the challenges, losses and victories, Cup of Joe continues today as a rich blend of inspiration for your daily grind. I hope you have enjoyed all of the flavorful cups and different blends, and that we get to share cups together for years to come. To celebrate over 2 decades of inspiration and encouragement, 10 years for this blog, I wanted to share this story with you! You can use the link below and get a free PDF copy of my Dreams2Destiny story right now. Thank you for your prayers and support! Please continue sharing cup of Joe with your friends and family and may your cup(of Joe) always be filled to overflowing.